Dominique Boissy — Recorder and play-along. 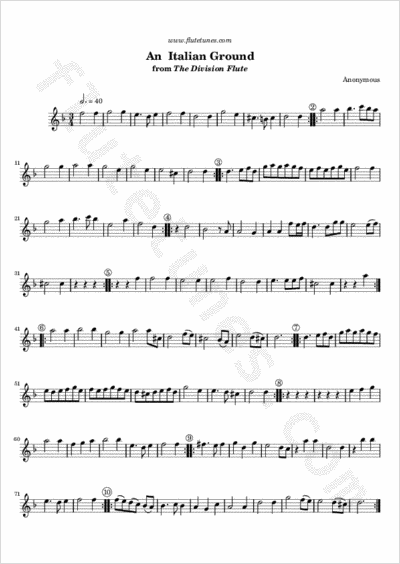 This piece is taken from the second volume of The Division Flute, published in London in 1708 and originally conceived for recorder and bass instrument. Both the tune and the ground bass are certainly older, and had already appeared under the title “Divisions on an Italian Ground” in Robert Carr's The Delightful Companion; or, Choice new lessons for the Recorder or Flute, first published in 1682.